In this ongoing series called Deluge I explore the mental, physical and emotional responses to being overwhelmed. Approaching this subject as a universal state through near literal interpretations, a single figure is subjected to the suffocating consequences of drowning, being buried alive and set on fire. 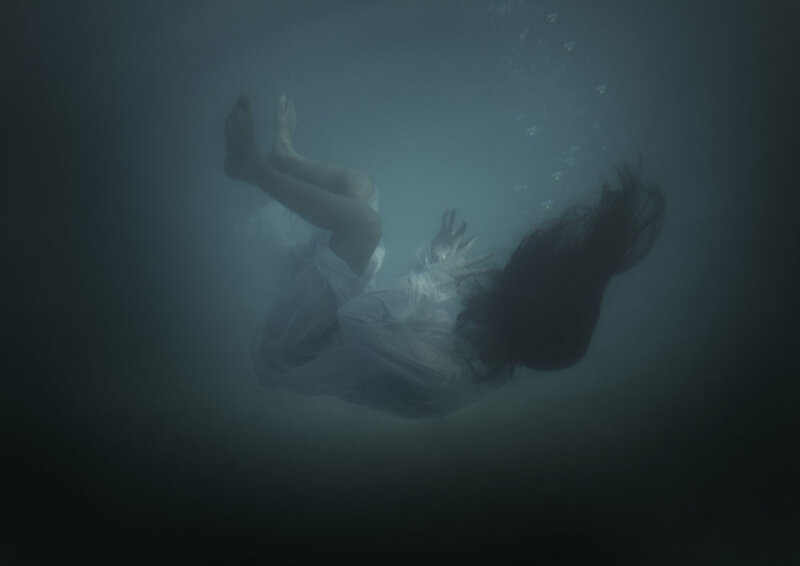 Through underwater photography and digital manipulation, each act represents a psychological state connected with being overwhelmed. In portraying the metaphysical through extreme circumstances, I can emphasise the depth of an emotion which affects us all. In addition to this, the series Deluge challenges the notion of time. As we are experiencing a feeling of distress, time stands still and 1 minute may not seem like the usual 60seconds. This set of images illustrate time slowing down as we travel through heavy affliction. The photograph Drowning won third place in the Eaton Portrait Prize 2018 - Cambridge School of Art | Cambridge UK. The series Deluge took part in the Cambridge School of Art degree Show 2018 / Cambridge, as well as the Free Range Show 2018 at The Old Truman Brewery / Brick Lane, London.